Disclosure: This post was sponsored by Sabra as part of an Influencer Activation. All opinions expressed in my post are my own. I cannot believe it’s almost that time again… back to school. If your kids are going back to school soon, you may be thinking what to feed them for lunch or after school. After school, I like my kids to have a healthy snack that isn’t too time consuming to prepare because we usually have homework, appointments and other things going on. Usually they want a treat of some kind, but I like to encourage them to make better food choices. 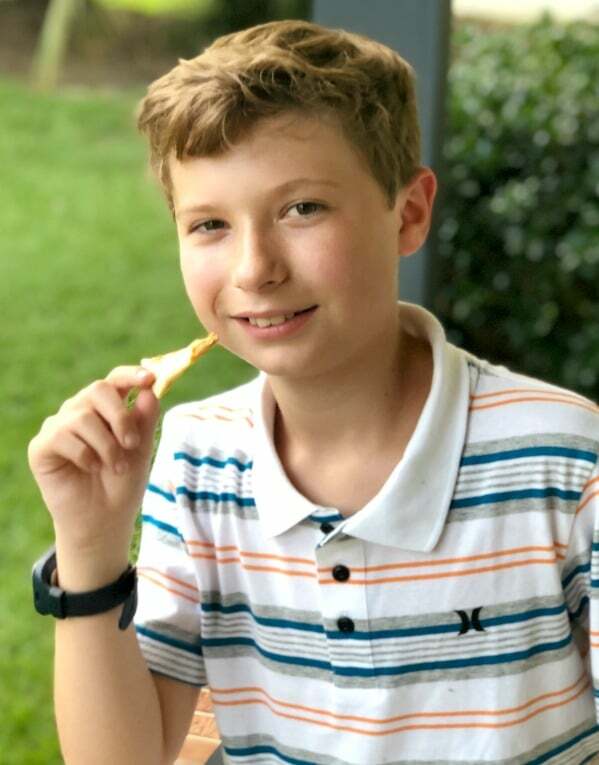 If one of you moms or dads out there ever deals with not knowing what snack to give your kids for lunch, or after school snack, I thought I would share how I satisfy my kids’ bellies. I was in Walmart the other day looking for some hummus. After living in Bahrain for 2 years, our family has developed a taste for different types of hummus. I saw that Sabra had Hummus Singles Roasted Red Pepper – 6 Ct. Basically it’s hummus packaged in 6 individual pre-portioned singles. 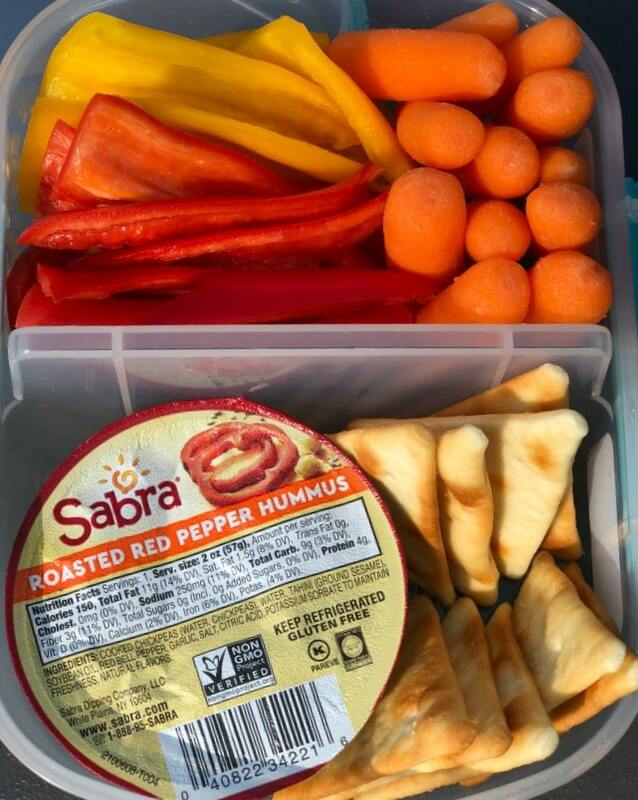 I knew these Sabra Hummus Singles would be perfect for lunches, and/or a quick snack. Did you know that Sabra uses fresh chickpeas, tahini and a touch of garlic in their hummus?! 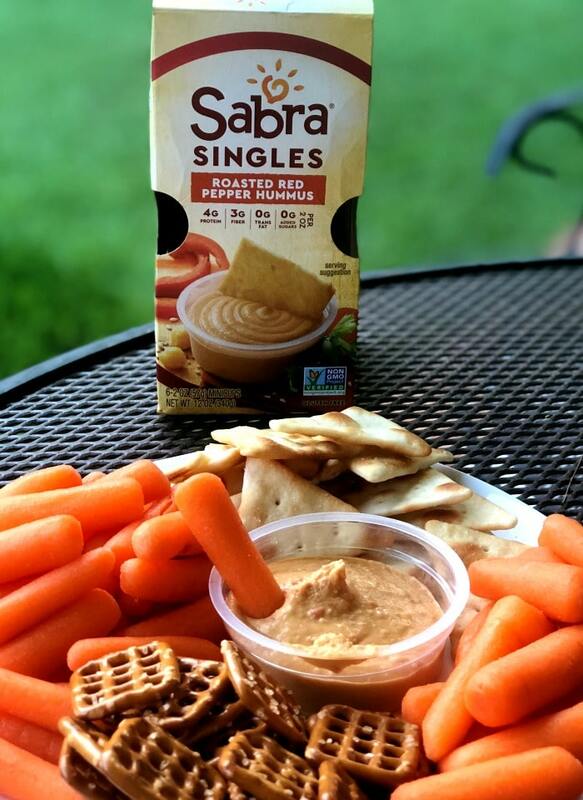 I decided to try the Sabra Roasted Red Pepper Hummus and was pleasantly surprised with the smooth texture and bold flavors. My kids loved the flavor and ask for them everyday now. 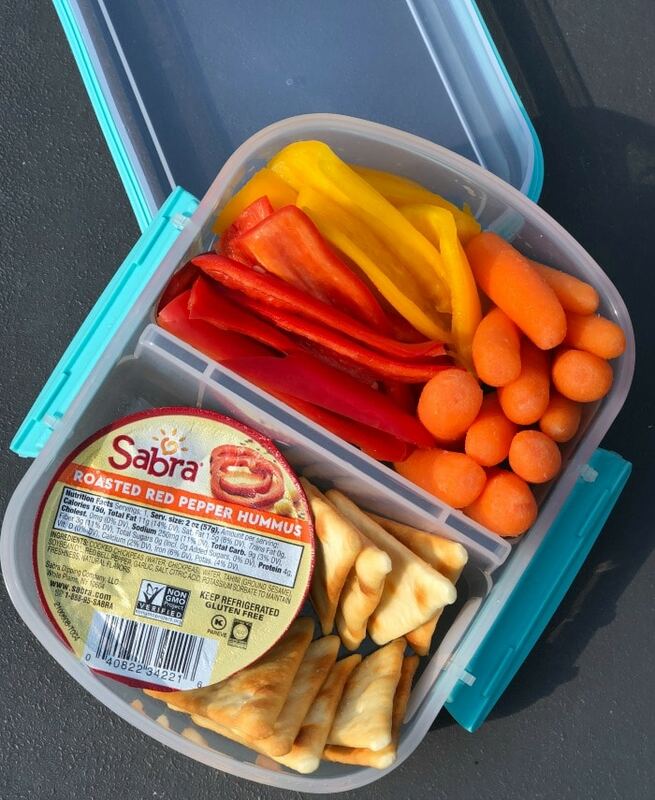 They love to pair the Sabra Roasted Red Pepper Hummus with yellow and red peppers, pita chips, carrots, pretzels and more. 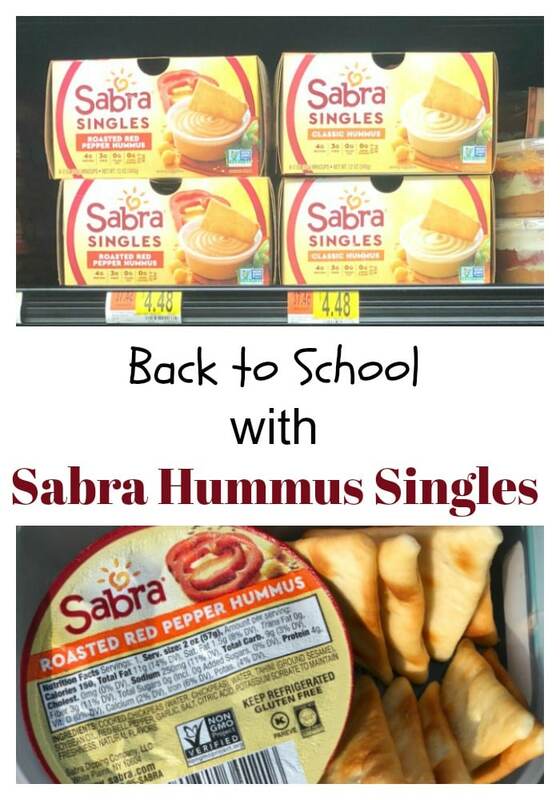 So if you are looking for easy and new snacks ideas for after school, home or just because you’re hungry, you really should try Sabra Hummus Singles. It’s our new go-to brand for Hummus. 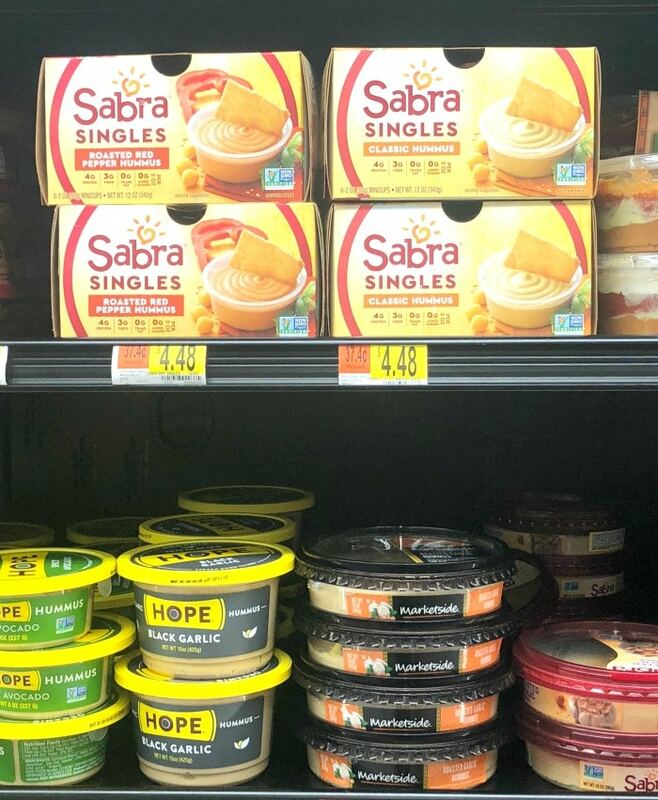 Sabra Hummus is available at Walmart as Sabra Hummus Singles do not have nation-wide distribution. Be sure to look in the refrigerated section at Walmart while getting all your back to school supplies. What is your favorite after school snack to give to your kids? Ten (10) Second Prizes: Each winner to receive one (1) Chrome Notebook ARV $500 each. One hundred (100) Third Prizes: Each winner to receive one (1) $100 Walmart Gift Card. One hundred (100) Fourth Prizes: Each winner to receive one (1) $25 Walmart Gift Card. LIMIT: One (1) prize per person or household. Sabra is the only humus we buy. I buy the spicy one for me and the regular one for my son. Wow! These looks yummy and very delicious. We all need these especially people on time constraint.